Just to the west of the chaotic rotary where routes 202, 31 and 12 converge, Flemington's Main Street offers a grace note in the midst of cacophony. Carefully tended to evoke other eras, the historic district offers something increasingly rare in New Jersey: a place where it seems right and proper to walk, to appreciate the view, to slow down. Architectural gems of bygone eras flank the streets: Victorian and Queen Anne houses. Italianate office buildings. Greek Revival manors. Richly detailed work enhances the old buildings: high pitched roofs, fish scale shingles, brick arches, carved pedestals, decorative bric-a-brac, carved wreaths. More than half of the buildings appear on the National Register of Historic Places. Many houses have porches. Many porches have rocking chairs. All the buildings have stories to tell. Keeping those stories alive is neither easy nor cheap. Perhaps only a homeowner awash with contractors (or anyone familiar with the movie "The Money Pit") can understand the work involved in preservation and rehabilitation. 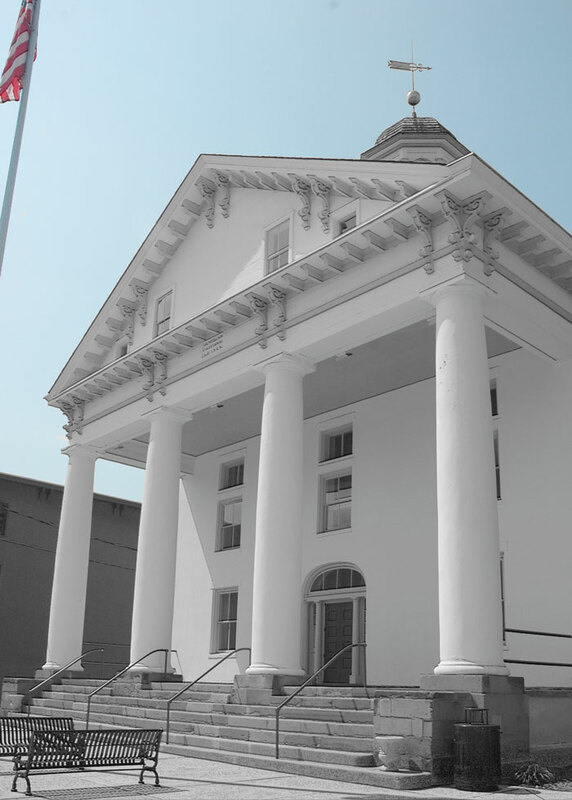 Preservation of the 19th century Greek Revival courthouse, located in the center of Main Street, cost over three million dollars. Why bother? Rich with symbolism at the time of construction, the buildings have become portals through which we understand other eras, and ourselves. Old buildings are often cornerstones of community identity. It is not that we are what we eat. We are what we build-­and what we keep. Frank Bell, Hunterdon County architect, tries to explain the intangibles of historic preservation, the answer to the question, why bother? "These projects add to the context of the streetscape. They bring vitality to Flemington." Maintaining that "vitality" requires manpower. Rehabilitating historic properties means juggling artistry, efficiency and accuracy. On the one hand distinctive features, finishes, and craftsmanship should be preserved; on the other, a gentle touch is imperative. (Sandblasting a fragile brick exterior is a definite no-no.) Conjecture is frowned upon; the Standards for Rehabilitation from the Department of the Interior (used by many state and local historical societies) emphasize retaining and preserving "the historic character of a property" with "minimal change to the defining characteristics of the building and its site and environment." The requirements pose special challenges for buildings that bridge several centuries. In its years of active service, the old county courthouse went through multiple renovations to its interior. 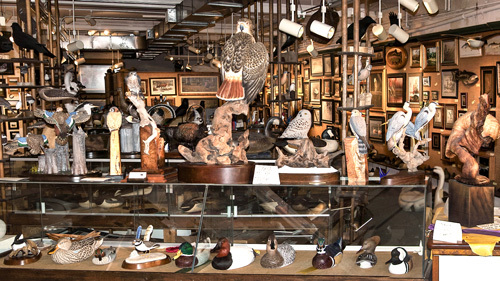 Before work can begin, historians must determine what stays­and what goes. In the spring of 1793, Flemington's first courthouse opened its doors. Measuring 60 x 35 feet, it had taken two years to complete. Two of its support beams, 10" x 12" and 40 feet long, weighed at least 1,400 pounds each. Builders used 9,000 shingles. Few details survive, but the building apparently proved solid and serviceable. For thirty-five years defendants, plaintiffs, witnesses, court officials and scandalmongers settled feuds, bastardy trials, and assorted charges under its roof. Following the War of 1812, British fashions fell out of favor. When fire destroyed the original courthouse in February of 1828, the Board of Chosen Freeholders quickly decided to rebuild on the same site. The new structure would measure approximately 51' x 70', and contain both courthouse and jail. Rejecting the Georgian and Federal styles of many public buildings, the Freeholders opted for a tribute to neoclassicism on a grand scale. They apparently lacked a sense of the ironic; that spring copies of the Bible were sealed in the cornerstone of a courthouse that resembled an ancient pagan temple. Greek Revivalism sought to invoke the ancient ideals of Wisdom, Truth and Justice, in a troubled time and place that tolerated slavery in fact, if not in name. Construction was well underway when a fourteen year old slave in Hopewell, "Little Jim" Guise, bludgeoned his elderly mistress to death with a horse yoke. The gruesome murder shocked the white community. No one doubted the trial's outcome. In his vermin-infested cell, Little Jim captured thirteen mice to act out the roles of twelve jurists and a doomed convict. He swung from the gallows in November, before a crowd reported to number in the thousands. One year later the Freeholders climbed the new steps under four massive Tuscan columns. The new courthouse represented a magnificent accomplishment. Even the bell, housed in a gold-leafed cupola, reflected the importance of the new building. But for all that early sense of accomplishment, preservation efforts would not focus on the brand new courthouse, or its troubled era. In 1935 the national spotlight turned on Bruno Hauptman, charged with kidnapping Charles Lindbergh's baby boy. What was soon dubbed "The Trial of the Century" brought national attention to the area. Six decades later, when the county retired the old courthouse from active use, the building would commemorate the trial of 1935. The decision fit preservation standards. In a concession to the human inclination to tinker, the Federal guidelines acknowledge "those changes that have acquired historic significance in their own right shall be retained and preserved" For the township, the decision was also sensible. 130 photographers, at one point or another, had covered the trial. "That era was chosen based on the greatest photographic evidence," Frank Bell explains. Documentation was the easiest part of the task. 160 years of modifications had led of an accumulation of hazardous materials. Asbestos and lead paint had to be removed, wiring replaced, fireplaces sealed. Gradually the building began giving up other secrets. Among the finds: law books from the 19th century stuffed in the walls and fragments of Stangl/Fulper pottery under the portico. Some of the original benches remained, marred in spots by old graffiti. Craftsmen used them to create replicas. The judge's bench and other furniture had to be recreated from photographs. Frank Bell follows the stairs to the old basement jail. He walks through a narrow hallway to a row of dark squalid cells. Each cell holds two stacked cots and a urinal. The prisoners barely had room to stand upright; they were let out, one at a time, to bathe in a single cramped hallway shower. "The prison was in use until the Prison Reform Act of 1925," Frank says, his voice echoing off the stone walls. "Cells don't look like this anymore." Main Street’s 19th century train station is now home for Unity Bank. Below: Mahlon Fisher’s former Flemington residence, the Doric House, now hosts the Hunterdon County Historical Society. The courthouse reflects an event. Other buildings on Main Street reflect their early days. In 1840 a local builder and self-taught architect, Mahlon Fisher, redesigned the former office of Samuel Southard. A lawyer, New Jersey Senator, and the Secretary of Defense, Southard early in his career had worked out of a small, squat and altogether unremarkable building. At the request of the new owner, Alexander Wurtz, Esq., Fisher extended a flat roof out over four columns and decorated the entablature with carved wreaths. An exercise in simple geometry, Wurtz' office nonetheless bore a deliberate resemblance to the courthouse. For the lawyer the building functioned as both office and advertisement. For Fisher, the project served as a warm-up exercise. 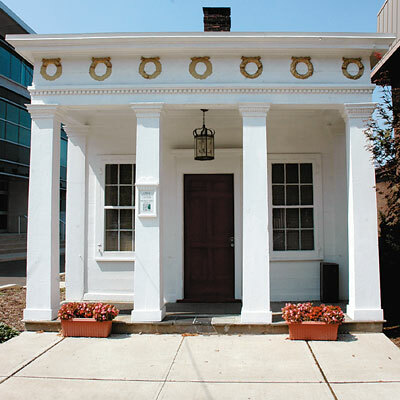 Six years later he built his own residence, now known as The Doric House, at 114 Main Street. The large, ostentatious home served as Fisher's own advertisement. But Mahlon's piece de resistance would be the Reading-Large House, built in 1847. 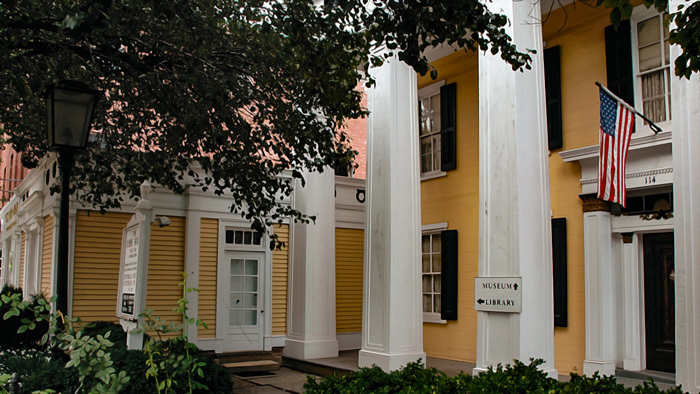 A massive, columned Greek Revival home, it looks down on Main Street from a small rise. Apparently built off a plan, it would nonetheless survive the test of time, to be considered a showcase example of Greek Revival architecture. Through the decades, form would continue to influence function. The County's Child Advocacy Center operates out of The Southard House. The Doric House hosts Hunterdon County Historical Society. The privately owned Reading-Large house, although falling into a state of disrepair, rents office space to Senator Leonard Lance. The continued existence of buildings like the Reading-Large House hinges upon income. Chris Pickell, of Pickell Architecture, takes a pragmatic view of preservation amid contemporary life. "Only so many house museums can be preserved. Most must earn their way." His office, housed in an old Victorian home on Main Street, could serve as a case in point. "We practice adaptive reuse while respecting history as much as possible. Our goal is to not create a false impression of the past." 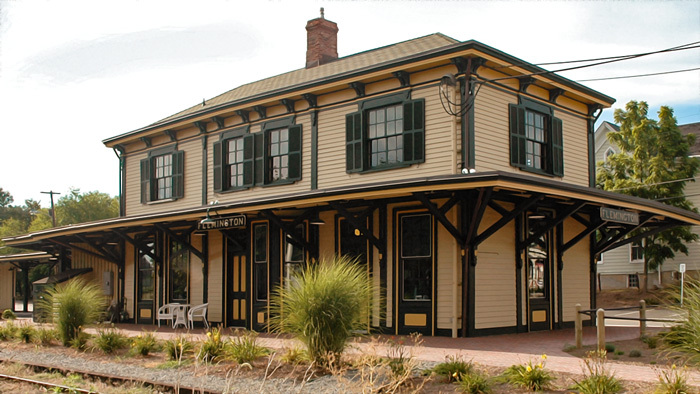 A recent project, Main Street's 19th century train station, would exemplify adaptive reuse. A long succession of restaurants had steadily expanded the station's footprint; the additions came down, and work began to convert the train station into viable space for Unity Bank. The requirements of modern day banking complicated the project from Day One. The drawings took six months. "We had to tape measure everything," he explains. Building took one year, and was not without its ironies. Stripped of 20th century residue, the partially restored train station was then prepared for the trappings of the 21st: information technology, security, lighting, wiring, seats for the tellers. Locks had to function to the bank's standards. At the same time, in an effort to retain a sense of historical accuracy, special knives were created to carve era-appropriate trim. The Federal guidelines urge anyone undertaking such a project to avoid conjectural features that might give a "false impression" of the past. Alterations and new construction of valuable old buildings should be "differentiated from the old" and yet compatible with the original features. Additions should be designed to permit removal without detracting from the property's essential form. To the casual viewer, the canopy over the bank's drive-through appears to be part of the original structure. To the trained eye however, the two components are both compatible and distinct, a tugboat to an ocean liner. Inside, the waiting room combines an impression of by-gone eras with modern life. Surrounded by wainscoting, clients fill out deposit slips in a room restored to its original colors. Tellers perch on the other side of mesh screens where tickets were once sold. Only bonnets, pockets watches and pomade are missing. Sixty percent of the buildings in Flemington's historic district appear on the National Register of Historic Places. The historic properties along Main Street pose different problems and asked different questions. Each building served up a surprise. In 1897 fire almost destroyed #56 Main Street, a neo-classical brick relic from the days of grand European tours. A century or so later, the building would be renovated for office space. Two lobby ceilings came down before the original 13' tin ceiling, still blackened by fire, saw the light of day. The patterned ceiling warranted highlights. Today it shimmers over electric lights. "We painted it with gold leaf," Chris explains. "It cost $100 a gallon." Other buildings follow a more subdued aesthetic. Many homes reflect the original, nature-driven hues of the Victorian era, when British fashions had returned to favor. Still others follow a more recent trend, the brashness of turn of the century resorts. 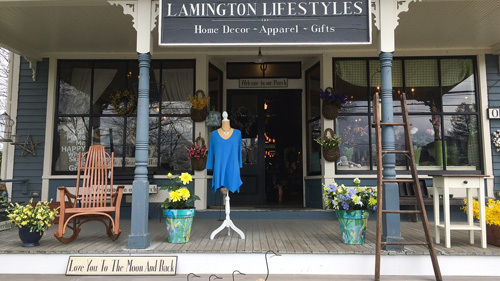 The emphasis on different styles continues today, as the town's demographics shift. On a recent Salsa Night, while crowds danced in the streets and spectators clustered in the balcony of a 19th century boarding house, it was easy to wonder what future generations will save, what decade, what era will cause future historians to store old gems. Flemington Borough’s designated redeveloper wants to demolish the Union Hotel and three other 19th century buildings in the heart of Flemington’s historic downtown to make way for a four-acre, seven- and eight-story mixed-use complex with 900 parking spaces. Last week, two national experts presented the case for adapting historic buildings for re-use, meeting with Borough officials to explain how maintaining a community’s historic assets has proven time and time again to create jobs, increase property value, and attract investment and tourism. Seri Worden, a Senior Field Officer with the National Trust for Historic Preservation, and Richard Southwick, Partner and Director of Historic Preservation at award-winning architecture and planning firm Beyer Blinder Bell and also a Preservation New Jersey board member, met with Flemington Mayor Phil Griener, Council Vice President Brooke Liebowitz, and Councilman Brian Swingle who together comprise Flemington Borough’s Redevelopment Committee. They were joined by Flemington Borough architect Christopher Pickell. Recent National Trust research, now available in a report titled Older, Smaller, Better demonstrates that established neighborhoods with a mix of older, smaller buildings perform better than districts with larger, newer structures when tested against a range of economic, social and environmental measures. •	A set of available buildings in relatively good condition in a good location. •	A town and its politicians supportive of redevelopment. •	A developer committed to Flemington with the resources to invest in the town. •	A population mobilized to support, indeed assist, in a careful historic preservation project. “The right solution for this town, at this time, and this specific location is so very obvious,” he said. He went on to describe three case studies: in the South Street Seaport section of New York City; in Harrisburg, the state capital of Pennsylvania; and at Ellis Island. At the Seaport, adaptive reuse of existing building stock defined and was the catalyst for the success of the whole district, which is now a vibrant 24/7 mixed use neighborhood. In Harrisburg, for years, the traditional commercial center of Pennsylvania’s state capital was all but deserted after 5 pm. Now the area incorporates a successful mixed use development with many of the same uses proposed for Main Street Flemington: retail, residences, hotel and education. The character of the development was retained by utilizing historic 19th and 20th century buildings and the complex has become Harrisburg’s town square, truly creating a distinctive sense of place. The National Trust for Historic Preservation designated Historic Downtown Flemington as one of the 11 Most Endangered Historic Sites in the entire United States in early October 2016. 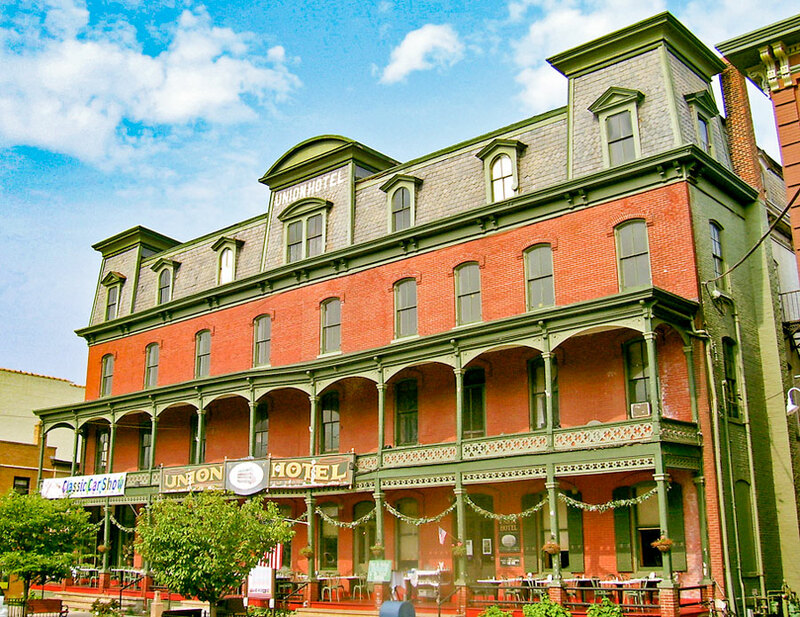 Preservation New Jersey placed the Union Hotel at the top of its 2016 Most Endangered Historic Places list. The Hunterdon County Cultural and Heritage Commission named The Union Hotel, the Fulper Building at 78 Main Street, and the Hunterdon County National Bank at 90-100 Main Street to their 2016 Most Endangered List. The Friends of Historic Flemington believe the demolition of the Union Hotel and three adjacent buildings in the heart of the county seat’s historic district is unnecessary. They advocate for the adaptive reuse of Flemington’s significant historic buildings, including the Union Hotel, as critical components of a thoughtfully designed and properly scaled downtown development. Learn more about the Friends of Historic Flemington. 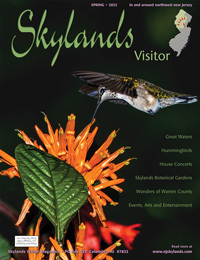 Or contact Chris Pickell.